The second major release of BenchVue features expanded data logging capabilities and ability to work with new types of instruments such as data acquisition units and power sensors. The new release also features easier, faster connectivity, allowing users to get up and running nearly instantaneously. These features, coupled with BenchVue's existing functionality, are further reinventing bench testing by providing engineers and technicians easier viewing, logging and exporting of measurement data, while also greatly accelerating common testing tasks. Added “Apps” tab. This tab provides a way to enable 30-day free trials on the new “Pro” applications (DMM, Function Generator, Oscilloscope, Spectrum Analyzer, Power Supply, Data Acquisition) and to view information about how to obtain and install licenses. Apps can also be launched from this tab. o Function Generator Pro: Built-in access to Keysight Waveform Builder Pro Software. 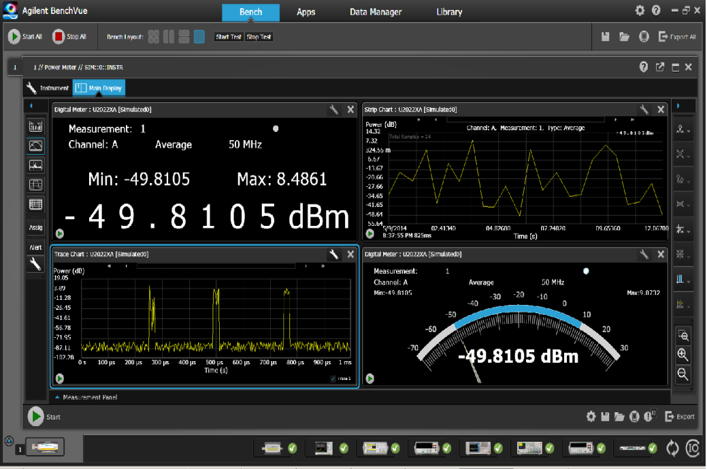 Existing licenses and data files for Waveform Builder Pro are automatically transferred. Added support for Connection Expert 17.0. Since CE 17.0 does constant instrument discovery, the refresh icon is not needed to discover new instruments, but will force a refresh if clicked. Note that automatic LAN discovery is also now supported, which can take a noticeable time if there are a lot of instruments on the subnet. CE 16.3 can continue to be used if desired. 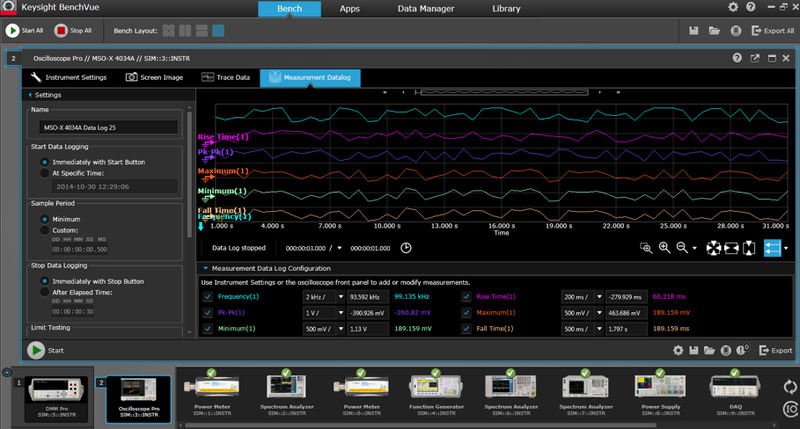 Download BenchVue today at http://www.keysight.com/find/benchvue.